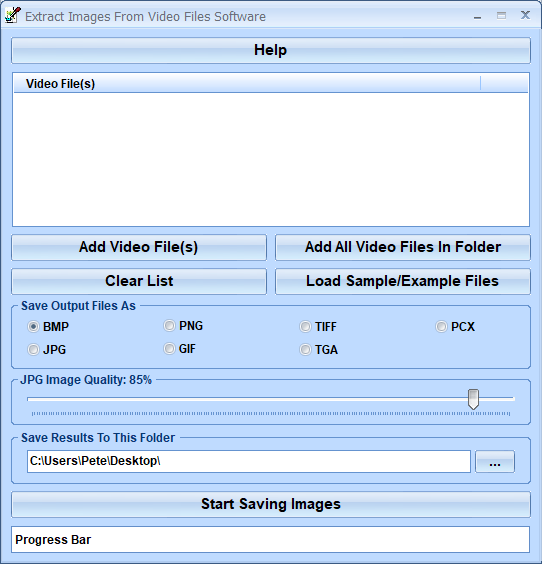 Extract Images From Video Files Software offers a solution to users who want to extract still images (frames) from video files. The user can specify the files or an entire folder to be processed and choose an output folder before starting to save the images. Using this time saving software, even large numbers of files can be handled with one click. Extract Images From Video Files Software is backed by a 30-day money back guarantee. If you are unhappy with the product, simply fill out the electronic form for a refund.